We sit in Connswater Community Centre in Severn Street. Sept 09- Imput on Greenway Walkaway. Sept 09- Ali & Leslie Ann passed suicide course, well done. Oct 09- Fundraiser night for young Carter Matthews. Oct 09- Sucessful Housing Protest. Oct 09- Talks with Fiona regarding airport. Oct 09- Visit to Crumlin Road Jail. Nov 09- Talks with British Heart Foundation. Nov 09- George Best Foundation in Bloomfields. Nov 09- Well and safe course. Nov 09- Bus trip christmas shopping, Abbey Centre. Dec 09- Shoe box appeal for Afganistan. Dec 09- Christmas Dinner at the Encore Hotel. Dec 09- Christmas craft morning, Adrcarn womens group. Feb 10- Womens pamper night. Feb 10- Kids Valentines Disco. 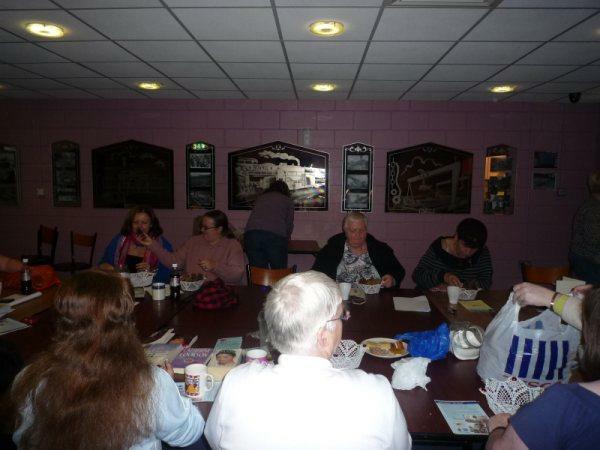 Feb 10- Working with Ardcarns Womens Group. Feb 10- Walk down memory lane with Jonny Jamison. Mar 10- Womens information night. Mar 10- Cardiovascular disease course. Mar 10 - Involvement in neighbourhood watch. Apr 10- Kids Easter Disco and Easter parade. Apr 10- Child protection courses. Apr 10 - Darts and Chippy Night. May 10 - Cultural and Diversity Course. 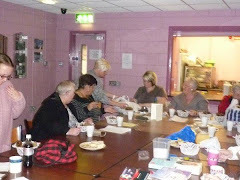 Connswater Women's Group are welcoming new members to join the group. We are a strong group and have recently secured some funding for different courses that will benifit the women of the area. We are currently completing a Cultural and Diversity course, which is fantastic and are at the last 2 weeks of the course. We are hoping to produce a small book regarding the course and in our own words telling the stories we no. If you are interested in joining, come along any Thursday night and you will be made so welcome and will benefit along with the other women in some fantastic courses and some serious fun. We have just started a 3 week course on Cardiovascular disease. The course covers a number of things from heart attacks, strokes, arterys, blood pressure,circulation and your brain. The women really enjoyed it and are looking forward to the next session on Thursday 25th March. Some of the things we learnt about was amazing and our facilitor Shauna was brilliant. If anyone interested in coming along for the remainder of the course they are very welcome indeed. Easter Disco and Easter Bonnett Parade. Easter Disco and an Easter Bonnett Parade. So bring along your Easter Bonnett and win a prize for the best one. Come along and join in on all the fun. Connswater Womens Group was established in August 2009. A few local women were interested in the idea of getting the group started up in the area so we advertised to local women to come along and join up. The response was great and at the minute we have 30 strong members. Since we have started up we have achieved alot of things that probably wouldnt of happened only for us women. We have taken part in a lot of local fund raising, held different events for the children of the area and have all enroled in some courses to better ourselves and our lives. Self esteem and lack of confidence plays a big part in all our lives and over the past 8 months these changes have happened. We are currently working along side with Ardcarn Womens Group and the bond that we have formed with them is brilliant. We want to change the womens lives in and around our community bring them all together to a happy enviroment and take on the tasks that they wish to do. Our drive and determination will improve the lives of many women in the area, through projects and events, the group will help alleviate the sense of isolation felt by women in our community. The group sits on a Thursday Night 7.00pm - 9.00pm in Connswater Community Centre, everyone is welcome and will enjoy the laughs and fun of the group. Connswater Womens Group has 30 members which is made up of 13 Commitee members including 3 office bearers. The group of women are fun and all enjoy eachothers company. The group respect eachother and get on well which makes it a happy enviorment to be in. Anyone interested in joining even just for the fun and company they are more than welcome every Thursday night 7.00pm - 9.00pm. Connswater womens group was brought together in August 2009. The group sits in Connswater Community Centre on Thursday nights 7.00pm - 9.00pm Everyone is welcome to join the group as long as they are 16 or over.